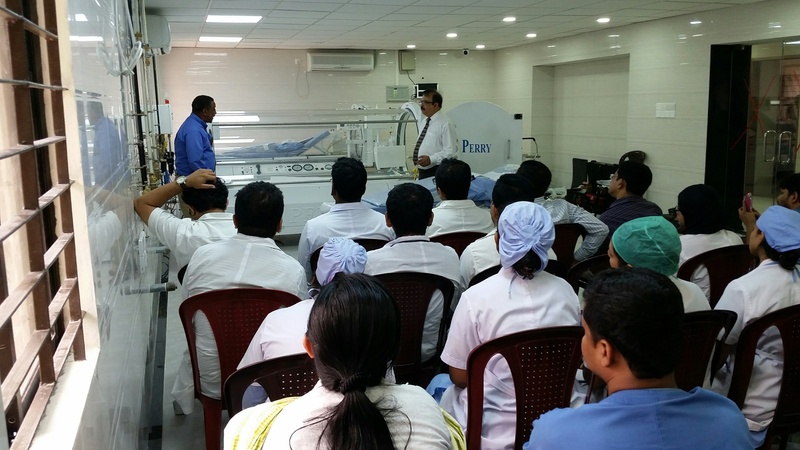 The hyperbaric orientation class is designed to orient new hyperbaric staff to the hyperbaric room, hyperbaric chamber functionality, safety and cleaning protocol, and a review of the HBO ancillary equipment. There is a review of HBO indications, side effects and treatment protocols, as well as daily, weekly, and semi-annual checklists. There is also a review of HBO procedures, to include gas handling procedures, fire pull station, infection control, complete equipment shutdown procedures, and new staff orientation. This class is ideal for newer centers or centers with new staff.